Calling all patriots! 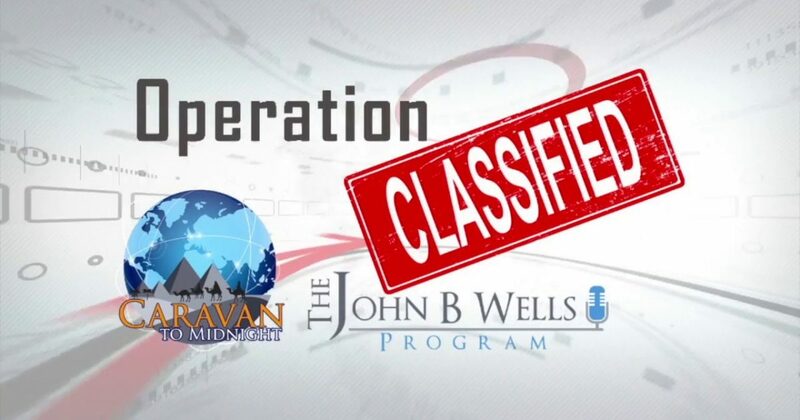 Operation Classified – Dallas, TX, November 9-11. Many speakers you will know by name and have seen on Fox. If you can get there, be there! Talk show host and investigative reporter John B. Wells is organizing an event in Dallas, Texas that all patriots who can attend, should attend. I plan to be in attendance at this event, Operation Classified, which will feature many renowned speakers, experts in a variety of fields. There will also be at least one featured speaker whose identity has not yet been revealed. Among the announced speakers…. Tony Shaffer, who appears regularly on Fox News as an intelligence expert, will be among the speakers over the course of the three-day event, November 9-11. I have written many articles on Shaffer’s revelations, including one that received very little coverage in 2014, the fact that Barack Hussein paid $5 billion in exchange for Bowe Bergdahl, a deal that Shaffer was involved in personally. Link to that story…. Hussein paid $5 billion for Bergdahl. Field McConnell, a career fighter pilot turned commercial airline pilot turned government whistleblower/investigative reporter, is a leading expert on government involvement in horrific air disasters such as 9/11, including Hillary Clinton’s involvement, and the disappearance of Malaysia Airlines Flight 370. Mike Adams, publisher of NaturalNews.com, Science.news, Cancer.news and over 300 other sites. Adams is a published scientist who runs an internationally accredited laboratory. Ty Bollinger, a frequent guest on Fox News, is an author and medical researcher, who believes that multinational pharmaceutical companies are “running the show” on cancer treatment, preventing more effective natural treatments from becoming mainstream. Ty is the author of the New York Times bestseller The Truth About Cancer. Wow! James & JoAnne Moriarty are whistleblowers as eye witnesses to the war crimes committed in Libya by Hillary Clinton. After getting home to the US, they were targeted by the government and soft killed/black listed. Stewart Rhodes, the founder of Oathkeepers, whose mission is very similar to Powdered Wig’s – the restoration of and strict obedience to the United States Constitution, is on a mission to ensure that law enforcement officers and members of the military are fully aware of their responsibilities and limitations under our Constitution. I have long advocated that law enforcement organizations, at every level, must understand their limitations under the Constitution, and, frankly, they don’t, in most cases. There have been egregious violations of constitutional rights by law enforcement officers simply because they have not been properly trained in their limitations, thereunder. Scott Bennett, a former U.S. Army Special Operations Officer (11th Psychological Operations Battalion, Civil Affairs-Psychological Operations Command), and a global psychological warfare-counterterrorism expert, it is Scott’s mission to enhance global awareness and understanding of modern psychological warfare, the international military-intelligence community, and global surveillance operations being artificially generated under the spectre of “National Security,” while spotlighting the scandalous abuses of power and deception being employed against the American people by its own military-intelligence community. Robert Spencer, a frequent guest on Fox News, is an expert on Islam and jihad and the threats they pose to the civilized society. Spencer is the director of Jihad Watch, a program of the David Horowitz Freedom Center, and the author of seventeen books, including the New York Times bestsellers The Politically Incorrect Guide to Islam (and the Crusades) and The Truth About Muhammad. His latest book is The Complete Infidel’s Guide to Free Speech (and Its Enemies). Coming in November 2017 is Confessions of an Islamophobe (Bombardier Books). Sidney Powell was a federal prosecutor in three districts across the country under 9 United States Attorneys from both political parties. In 2014, she published LICENSED TO LIE: Exposing Corruption in the Department of Justice, which has become the focus of work. God knows we are seeing “corruption in the Department of Justice” up close and personal today. WILLIAM J. FEDERER is a nationally known speaker, best-selling author, and president of Amerisearch, Inc., a publishing company dedicated to researching America’s noble heritage, Bill is also a frequent guest on Fox News. Kevin Shipp, former Central Intelligence Agency (CIA) officer is the author of the best-selling book, From the Company of Shadows – an expose’ on CIA operations and the abuse of government secrecy. Mr. Shipp has come out to expose what he calls, “The Shadow Government,” the massive system of secrecy and corruption that controls the elected US government behind the scenes. His speeches have received standing ovations.